For three years, Velo3D has operating in stealth mode. The bay area based startup has largely managed to fly on the radar, in spite of raising an impressive $90 million since launching in June 2015. Today, however, the 120 person company is finally ready to discuss what it’s been working on, just as it announces the availability of its first product. The Sapphire system utilizes a technology the company calls Intelligent Fusion. The system is capable of 3D printing complex metal objects by sintering a bed of powder with a laser, in a process similar to standard resin-based 3D printing systems. One of the more compelling aspects of the technology is its ability to create geometrically complicated objects without the need for the support structure most require. Rather, the objects, as described by Chief Product Officer Stefan Zschiegner , essentially come out of the out of the powder fully formed. Of course, the current technology isn’t scalable for true mass production. Instead, Velo3D’s early manufacturing clients include aerospace and space travel companies, primarily working through 3D production houses. 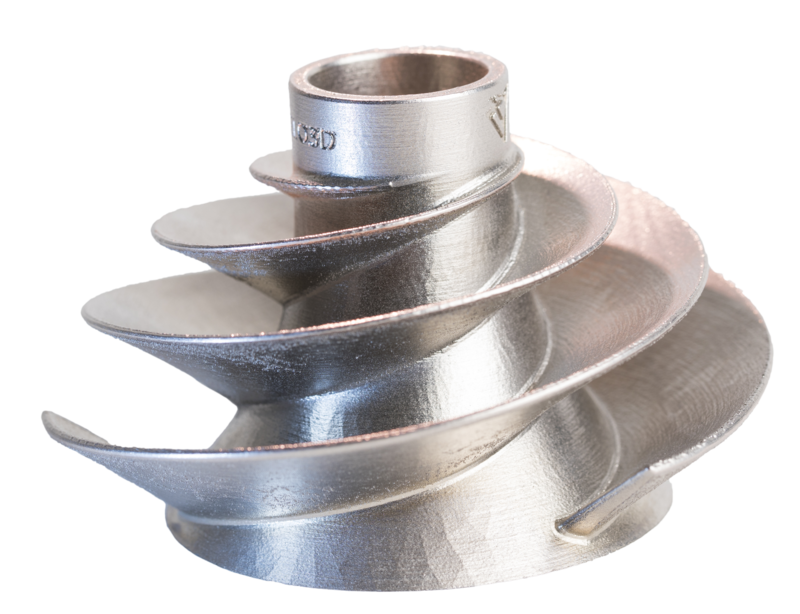 Florida-based 3D prototyping company 3DMT is among the first to adopt the Sapphire system, which Velo3D claims has a 90-percent first pass success rate. Other potential case uses include customized titanium medical implants. No official pricing has been announced, but the company says it will be “competitive” with other industrial metal printing systems. Velo is also using the opportunity to announce that former President and CEO of AutoDesk, Carl Bass, will be joining the company’s board as chairman.